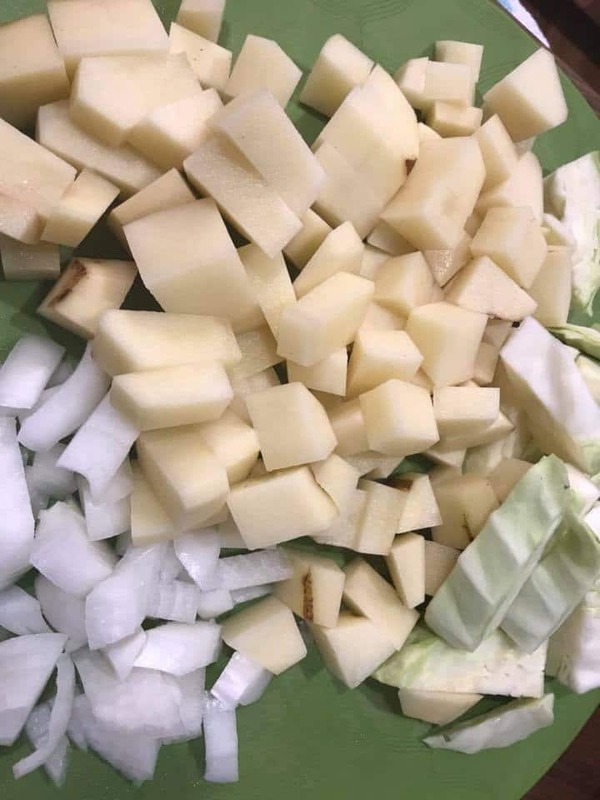 This easy instant pot beef stew with potatoes and cabbage has quickly become a family favorite. Usually, by April, we have moved on from stews but this year the cool weather seems to be lingering everywhere! Instant pot to the rescue. My kids don’t love cooked carrots so I just used cabbage and potatoes. Yep. That’s it. Beef, cabbage, potatoes, a little onion. Beef is the star. The instant pot makes it so tender and delicious. If you own an instant pot but are still afraid of it, just jump right in. This is a hard recipe to mess up. Our instant pot has a STEW button on it so, when all the ingredients were ready, I just set it to stew. Yep. That’s it. The time said 35 minutes but, just fyi, the 35 minutes doesn’t start until the instant pot is up to pressure. 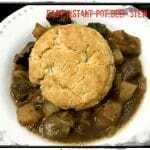 At the end, when the instant pot beeped that the cooking was over, I let it “naturally release” – which means that I did not touch the air valve on top of the cover to release the steam myself. 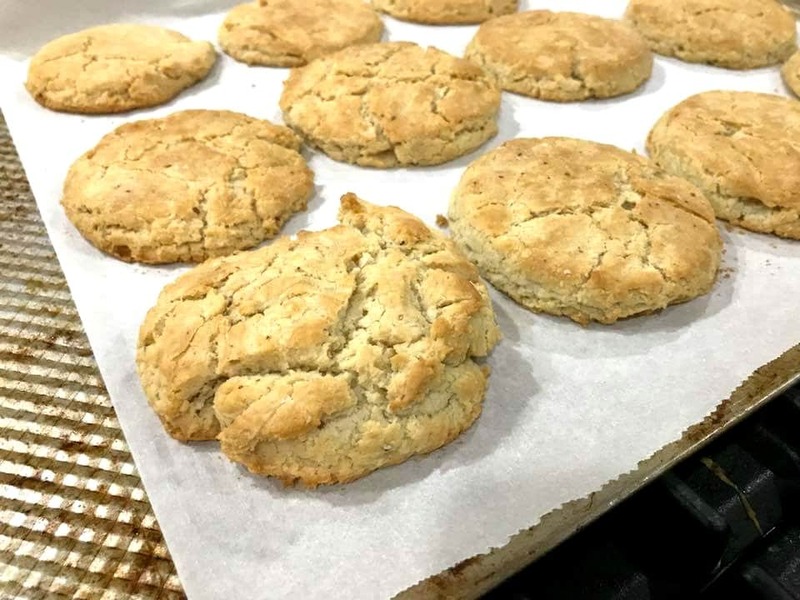 While the instant pot was naturally releasing the steam – probably another 15-20 minutes, I made some gluten-free biscuits to top our beautiful, easy dinner. Gluten-free biscuits … in case you feel guilty because the Instant Pot is doing all the work. Sometimes, when I cook in the instant pot, I feel like I haven’t really cooked because no pots and pans are actually dirty. So then I need to actually make a little mess and “cook” something to go with the perfectly fine meal that is cooking away in my tidy little kitchen. I have issues. But maybe you understand. You are going to want to make this …. and, if you feel like this isn’t enough work for dinner, make some biscuits. 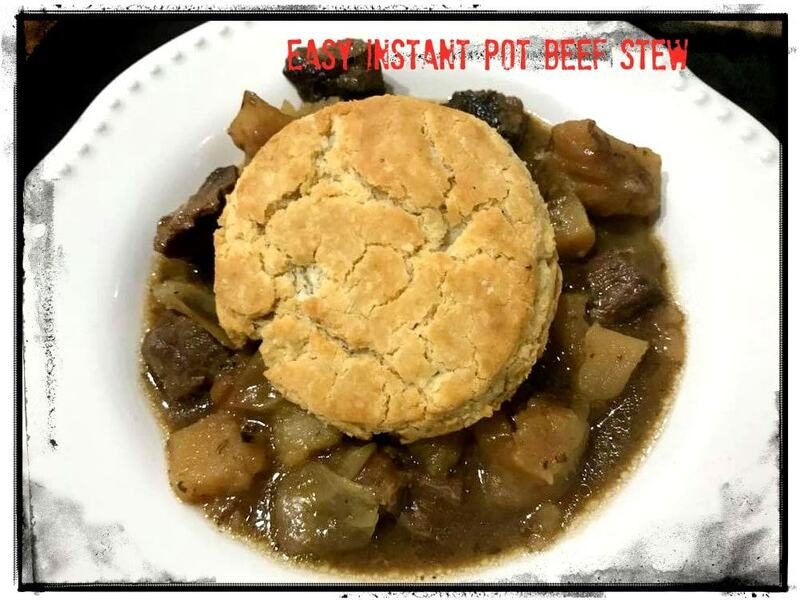 This easy instant pot beef stew is so simple and so good. 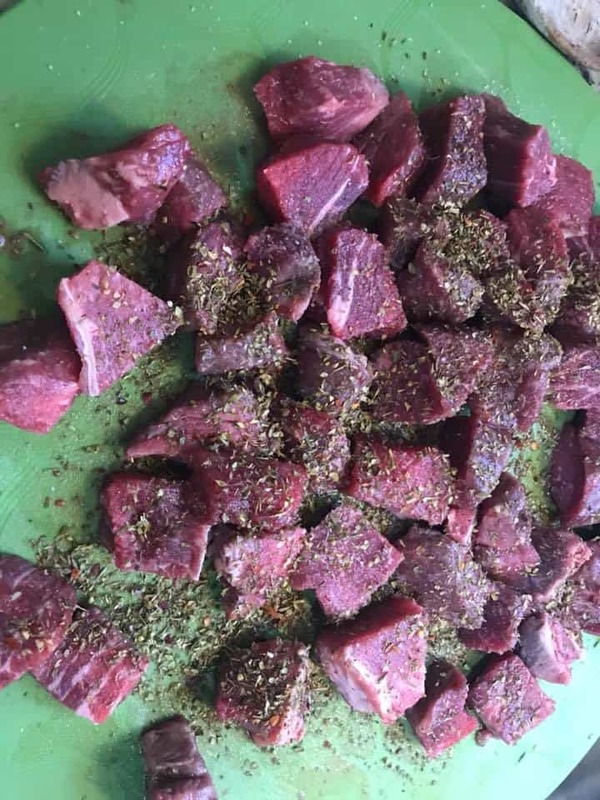 Sauté beef tossed in cornstarch and seasonings in butter and olive oil in the Instant Pot. Add the French onion soup or beef stock. Stir. Add remaining ingredients. Stir. Make sure there aren’t any burnt bits on the bottom of your Instant Pot. Cover and set to STEW. It should automatically set to 35 minutes. We let it naturally release. It was amazing!! Make this! 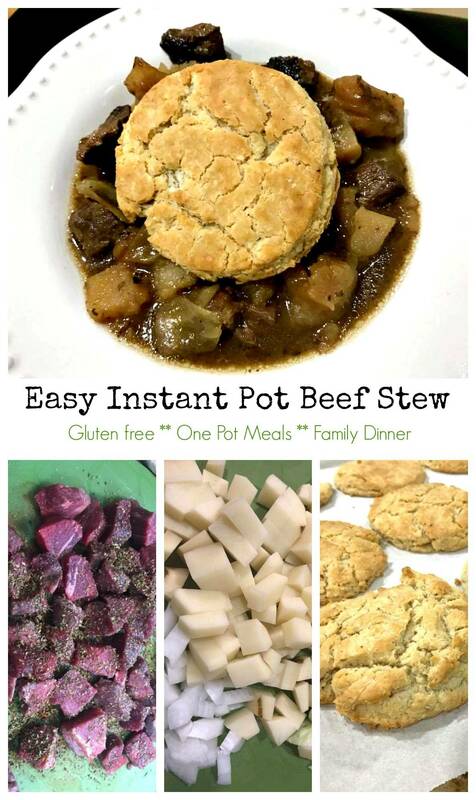 We topped our stew with fresh, warm gluten-free biscuits. Thanks so much, Kimberly!! Glad to hear that!